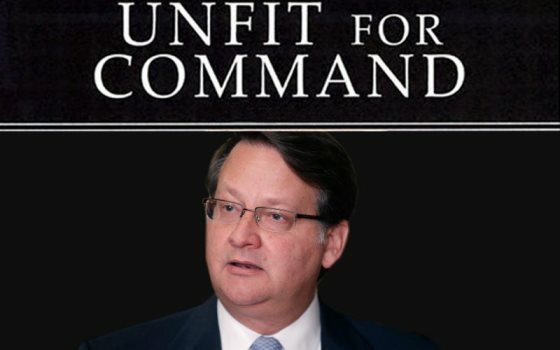 One of the seemingly minor issues that we think says a lot about Gary Peters the man is the fabrication of his Navy Reserve firearms qualifications. Interestingly, as Brietbart’s Matt Boyle observed, the documents that Mak was provided by Peters’ campaign prove that Peters and his campaign spokeswoman Haley Morris lied to local media—and that Peters lied on his campaign website. First off, as Boyle noted in his article, the M1911A1-45 handgun qualification of “sharpshooter” appears in Peters’ record jacket, obtained by the Freedom of Information Act (FOIA) from the Department of the Navy and published by Breitbart News on Sunday evening—so the documents Peters’ team gave to Mak prove that was correct. In that record jacket provided by the Department of the Navy via FOIA, the qualification Peters is listed as having for the M16A1 rifle is “sharpshooter”—not “expert" as Peters’ campaign’s document provided to Mak shows, according to Mak. While one can’t be clear about what the document actually shows, since neither Peters nor Mak have published the document in full, both documents the Peters campaign provided to Mak on the firearms qualifications actually prove—despite Mak buying Peters’ campaign’s spin—what Breitbart News and the sources who went on record for the piece said about Peters’ fabrications on his firearms qualifications said all along about his firearms qualifications. “Peters spokeswoman Haley Morris said Peters was classified an expert marksman with pistol and rifle during his time in the U.S. Navy Reserve,” MLive.com reported in September 2013. Even if the second document Mak was provided by Peters’ campaign regarding the M16 was accurate—that Peters was “expert” level in it, something his record jacket contradicts—the two documents Mak was provided show that each of those statements Peters and his campaign made, on his website and in comments to local media, are false. The reason they are false is that Peters, as Breitbart News originally reported, made up a new cool-sounding firearms qualification that does not exist to further his case. Former Rep. Allen West (R-FL), a retired Lt. Colonel in the U.S. Army, confirmed for Breitbart News that such a firearms category does not exist--as did Republican National Committee (RNC) director of military and veterans outreach Bob Carey. Matt Boyle’s exhaustively documented article provided a great service to the voters of Michigan because part of the problem in figuring out the truth of Gary Peters’ exaggerations and fabrications is that all too many in today’s media elite are so far removed from the realities of military life and culture that they don’t understand the details of such matters as a weapons qualification, and how offensive Peters’ apparent exaggerations and fabrications are to those who served. More to the point, the only reason to invent a cool sounding non-existent weapons qualification, instead of simply listing the reality, is to hide the fact that, like the rest of his military and congressional career, Gary Peters’ weapons qualifications were undistinguished. Go here and here to read Matt Boyle’s exhaustively researched articles on the exaggerations and misrepresentations Gary Peters has made about his military service record.